Should Maglev trains be further developed? Traditional trains are operated by steam, fuel, electricity, etc., while maglev trains rely on the electromagnetic force provided by electromagnetic fields to operate. Because of its high speed and low emission, it is imported and used by some countries, and it has become the world’s most innovative fifth-generation transportation vehicle. However, when people pay attention to its advantages in terms of high speed and emission reduction, the lack of cost and safety cannot be ignored. Therefore, we decided to discuss whether the maglev train has development prospects and use value. If the noise generated by the rail transportation process is too large, it not only affects the hearing of the surrounding residents, but also affects the local fauna and damage the local eco-system. According to the National Deafness and other research institutes, if the normal person’s long-term or repeated contact sounds are higher than 85 decibels, the risk of hearing loss may be attributable. Therefore, 85 decibels are also generally considered to be the limit of safe sound. According to the train noise research report provided by ResearchGate, it can be clearly found that at a speed of 300km/h, the noise generated by the TGV train and the ICE train is close to or even exceeds 90 decibels, while the maglev train remains at a level of about 75 decibels. The reason of lower noise is mainly due to the fact that there is no friction between the trolley and the pantograph, and there is also no sound of rolling friction. The only possible source of noise is the aerodynamic forces generated by the train as it travels. From the perspective of virtue theory, it is necessary to focus on the intentions of the actors and benefit the human race. The low noise design of the maglev train can greatly reduce the risk of hearing damage. In addition, compared to existing train compartment, the available space in the magnetic levitation compartment is generally larger. For example, the German Transrapid interior is nearly one meter wider than the traditional train, so that the passengers are able to have a wider range of seating options and greater freedom of space, while also improving overall comfort. Conventional trains directly produce carbon dioxide emission and seriously damage to the railway. The virtue ethics asks the sustainable development of people, and maglev trains produce less carbon dioxide emissions and reduce the loss to the railway. When Maglev runs with 400 km/h, the emission of carbon dioxide is only the half of cars and one third of a short haul airline flight, which can obviously lower carbon dioxide emissions. Additionally, materials that were originally lost due to friction can be saved for reducing destructive mining. Hence, using more environmentally friendly maglev trains is our moral duty. The technology of magnetic is immature, leading to a wide debate. Since maglev train runs without mechanical contact, the reliability of brake system of the maglev train under an emergency situation still faces many challenges. The train should be stationary from a rapid speed drop, leading to the necessity to overcome a large inertia, so it will pose a threat to the safety of passengers. Based on Kant’s theory, humans should be treated as ends, but not means, this test therefore would be immoral for people safety. For example, a German maglev train crashed into a maintenance wagon during a test run in 2006. A total of 23 people died in this accident, which shows the unreliability of the emergency brake in maglev train. In this case, the harm caused by immature technology is beyond the tolerance of society. Kant’s theory suggests that the 23 of death should not be considered as an experiment, and the maglev trains cannot be developed and used rapidly. Even some experts believe that the maglev train may produce radiation, which can endanger human health. From the perspective of Kant’s theory, this is not in line with the Kant’s theory, which has posed a threat to the theory of human purpose. Additionally, maglev trains use different railways, which means the current railway infrastructure cannot be used for maglev trains. Therefore, the new tracks of maglev trains should be created, and it will cost more manpower and finances. In 2004, the maglev train started trial operation in Shanghai and the investment in the maglev train exceeded 13.5 billion yuan, but in 2004-2006, the maglev train has cost 1 billion yuan. In 2007, Germany launched maglev trains with a total investment of 185 million euros. But German Finance Minister Peer Steinbrueck thinks the project will cost more than 185 million euros. Such huge costs and losses have led to a debate about whether maglev trains will be developed rapidly. From the perspective of utilitarian ethics, the interests of most people need to be met. If a country invests heavily in maglev trains, people’s tax payment will be increased, which leads to increase people’s life pressure and affect people’s life standard. Therefore, this is not in line with utilitarian ethics. Many countries already have sophisticated rail networks and replaced regular trains with maglev would do more harm than good, and it would be a waste of national resources. Although existing maglev trains have disadvantages of immature technologies and huge investment, it is the trend to develop maglev trains for lower noise, comfortability and environmental protection. If the key problems can be solved, maglev trains tend to be the most potential highspeed railway transport. In general, it is a good article. This article mentioned the advantages and disadvantages of the maglev train. It is a new-fashioned technology. Shanghai maglev train is a special example. Sp0metomes I always concern about the maglev train. I really like this article, especially for the part of advantages. I believe Maglev trains will be the next generation for railways and although it faces many challenges now. The benefits are not only from railway, but from the whole country because people can have more choices for lifestyle when the train is faster. People should have the right to choose better life. A good article with moral analysis. The Kant’s theory here is interesting and this is what I never think. Everyone’s life should be treated seriously, and this asks the experiment need to have perfect security device. Too many people died in that experiment and that was a disaster. Kant’s theory can be used in further experiment with AR or computer simulation for better safety. Maybe I am an utilitarian and the dark sides give me a new way to think. Sometimes I think the man lost in experiment is acceptable because no pain no gain but now I feel it is not humanitarian. Any death should not be calculated within the controllable range and I will try to know more about Kant’s theory. Thanks. Actually I am very interested on this topic. I have also experienced the Japanese maglev train service last year. The speed of maglev train is very fast, nearly 400km/h. However, I cannot enjoy this maglev train service in Europe so far. I personally suggest that maglev train can be further developed due to the environmental protection and noise reduction benefits. The article also use the Kant’s theory and virtual ethics to support their statements.The development of maglev train can also contribute to the local tourism. This is a very logical article. The content is attractive and easy to read.From the perspective of Kant’s theory in the article, I agree with the counterparty that it has the potential to harm human health.So I don’t think the maglev train can be greatly developed. In this article , virtue ethics are considered in the light dark side of Maglev, which is a very good perspective, From the virtue ethic perspective , the author considered the low carbon emission of Maglev, which is a very good advantage of Maglev. In the future, the transportation that reduce greenhouse ,like Maglev, should be developed rapidly. The topic of this article is attractive, and it is worthy to discuss. I support the light sides of this article. The convinience brought by maglev trains provide more advantages rather than its drawbacks. With this technology, people can move to other cities very quickly so more business types can be true. For example, people can enjoy most fresh sea food no matter where are they. It is very nice. So I think the cost of experiment is necessary. The topic of this article is very attracting. The advantages and disadvantages are discussed from different ethics.From my view, Maglev should be developed because of advanced technology and need of people, although the maglev has some disadvantages. Creative article! I am a fan of Maglev technology. This article mainly talk about the pros and cons of maglev train. As I know, Shanghai maglev train is the first commercially used public transportation. In order to give supportive statements about the advantages about the maglev train. The author use virtual ethics theory to explain it. While talking about the advantages of maglev train, the authors mentioned Kant’s theory to explain the limitations of development of maglev train, including the radiation and safety risk. Generally. The article is attractive. It is my first time to hear about Kant’s theory, it is so weird. I always think the necessary scrifice and investment are worthy. No pain no gain, it is the history of human. The death in the experiment of maglev train is tragedy. Maybe it is a cruel situation for single person but is unavoidable for mankind. I know a new theory from this article, and maybe I will change my mind in future. The article shows the advantages and disadvantages of Malgev. The author considers different ethic from engineeing view. The safety of Malgev is considered from giving accident example in the article, the safety is considered from Kant‘s theory, this is confused about why the safety is related to Kant’s theory. Maglev train is an attractive topic. This article consists of two parts. 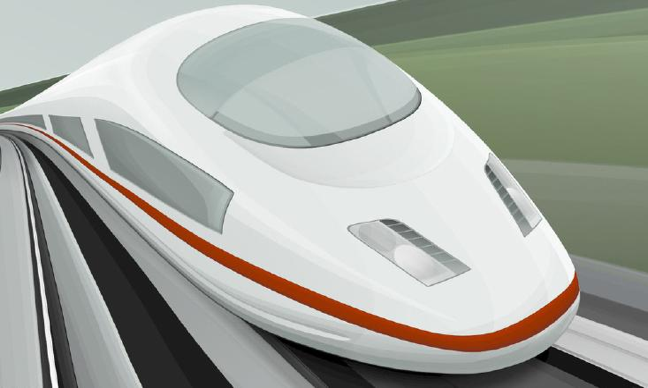 The first part is about the pros of maglev train, including the noise and speed benefits. It is very competitive if the speed of maglev train is more than 400km/h. On other hand, the writers also talked about the cons of maglev trains due to the safety risk and radiation influence. I never learn anything about the Kant’s theory and virtual ethics. So I cannot fully understand the justification of ideas. Whatever, this is a good and attractive article. Good job! 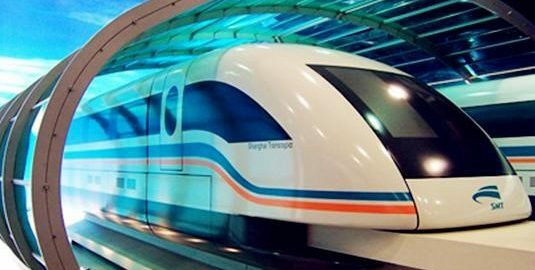 Some knowledge of Maglev can be understood, but the disadvantage of Maglev may be not avoidable, because transportation may cause some safety problems, with the advanced technology, the speed of Maglev can be increased, the danger may be minimized, but the safety problem may be not inevitable. I like the choice of topic, it’s a good choice, and one I hadn’t thought of having a downside. One of the drawbacks is the need for new tracks, and that suggests more land is needed – a utilitarian argument could be made since many people may not be happy about more land being concreted over, Kant’s theory could also be in opposition. However, could the tracks be underground, such as with Musk’s hyperloop? Overall, a good article, in assignment two make the ethical theories you are employing clearer. For example, you say “the German Transrapid interior is nearly one meter wider than the traditional train, so that the passengers are able to have a wider range of seating options and greater freedom of space, while also improving overall comfort.” – this is a utilitarianism support, you should say that. The article is attractive and interesting. Maglev technology represents the progress of a society.I really appreciate the advantage of Maglev trains, lower noisy.It could protect our hearing, which makes people enjoy their travel well! In a word, the topic is really attractive. I think the topic is interesting!The higher speed is really great, because it can take people to their destination quickly, and save time.To be honest, I have never thought the advanced technology.I hope the maglev technology can be accepted by the public! I like the topic, and it’s very interesting! Maglev technology is a new attempt! Although the advantages are great, the disadvantages are not avoidable! People pay more attention to the safety of transportation.The technology of magnetic is immature, maybe it’s a problem! I’m interested in this article. It gives us a good perspective on the future. The emergence of new means of transportation can solve the current situation of traffic congestion. 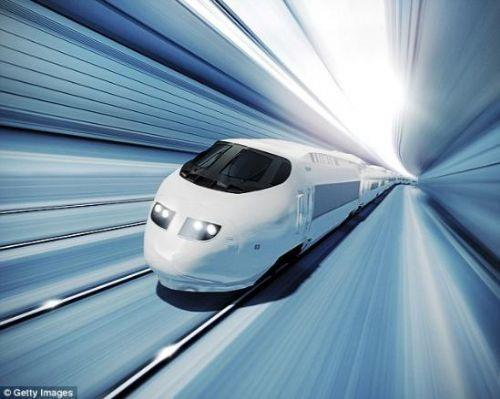 This maglev technology makes people’s life more convenient, because of high speed and low noisy! I think this topic is very attractive, especially for the advantages of the maglev technology! This is a great progress for our country. I really appreciate high speed and low noisy! To be honest, I like the article. Maglev technology represents our country’s advanced technology. However, the disadvantages are obvious because of the immature of this technology! So the maglev technology is still a long way from mass acceptance. I think it’s a good article with logical thinking. But I think this article can be further improved. For example, price is also an issue that people will consider. If the price is too high, this technology will not be well promoted! Nowadays, people can choose many means of transportation, and people always put safety firstly. Whether the maglev technology can be accepted by people is still an unknown because the technology is immature. Undoubtedly, this article has a good idea, but it should be analyzed more comprehensively. GMFs- Good Modern Foods? OR Good Murder Foods?